‘Album Of The Month’ (Mixmag), ‘Album Of The Week’ (The Independent), “The ‘Drive’ soundtrack with a rocket up its arse.” (DJ Mag); just three of the reactions to John B’s latest ‘Light Speed’ album from earlier in the year, a neon-soaked journey into possibly one of the most epic D&B albums of recent times. Now the title track is about to be unleashed with a package of remixes ready to hit all corners very hard indeed. 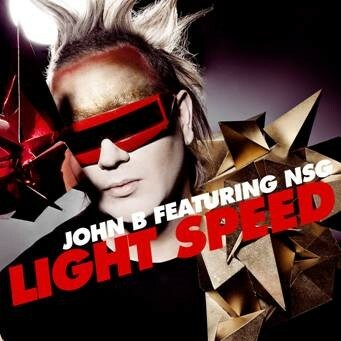 For John’s most ambitious single release yet, some of the most exciting young producers from around the world have been drawn in to offer their take on the uplifting stadium anthem ‘Light Speed’ featuring the vocal talents of NSG. From the totally re-worked club house mix through to hyper-boiled D&B smashers and electroid dubstep, no holds have been barred and if hi-rolling drumstep is what you’re after, John’s even got that too. 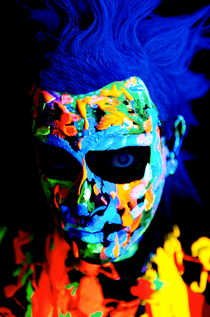 A big release from one of electronic music’s most flamboyant figureheads. It’s out 30th July.